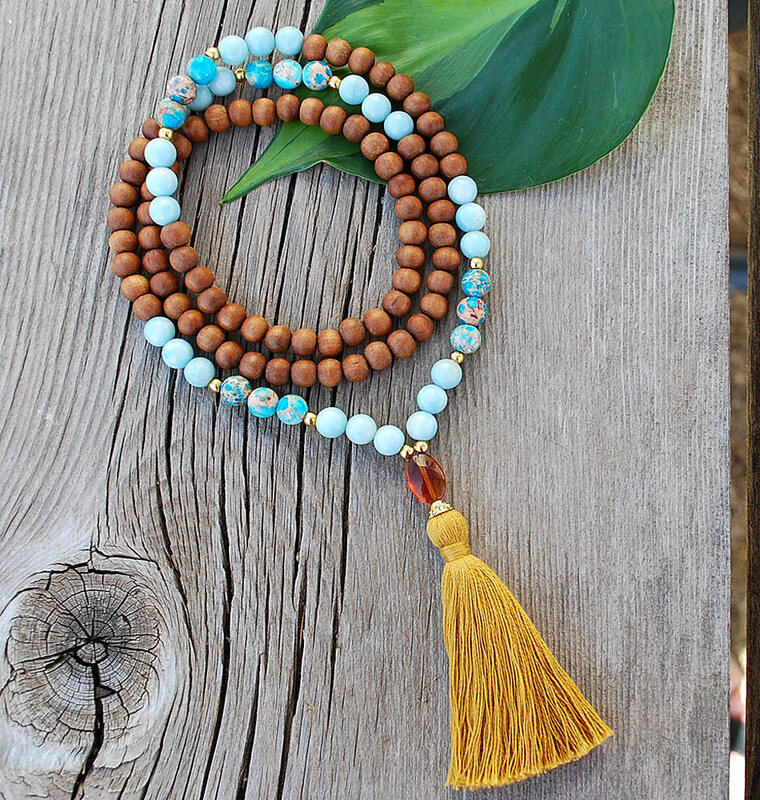 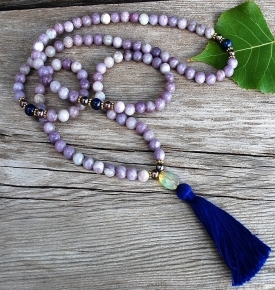 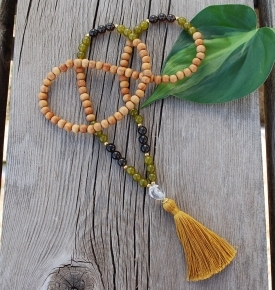 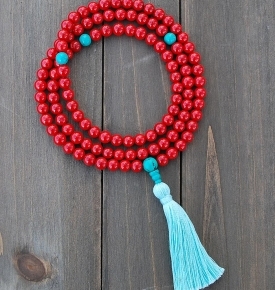 The Leo Inspired Mala 108 8mm real Indian hardwood, amazonite and magensite bead, golden markers with a focal bead and cotton tassel. 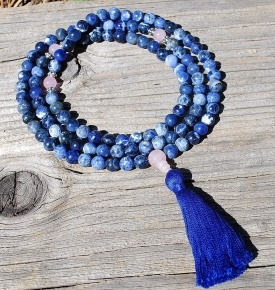 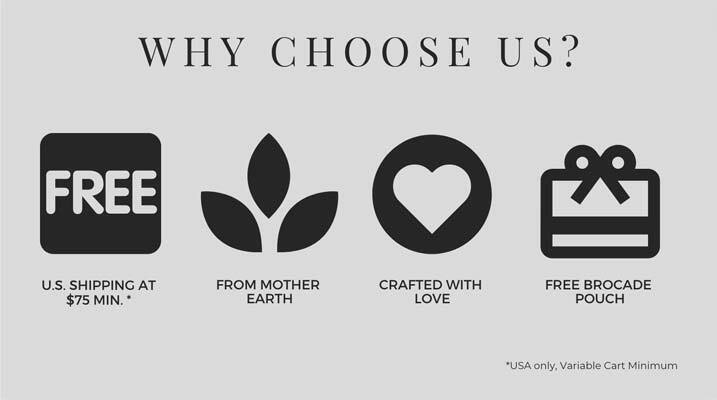 The semiprecious birthstone for August, Leo. 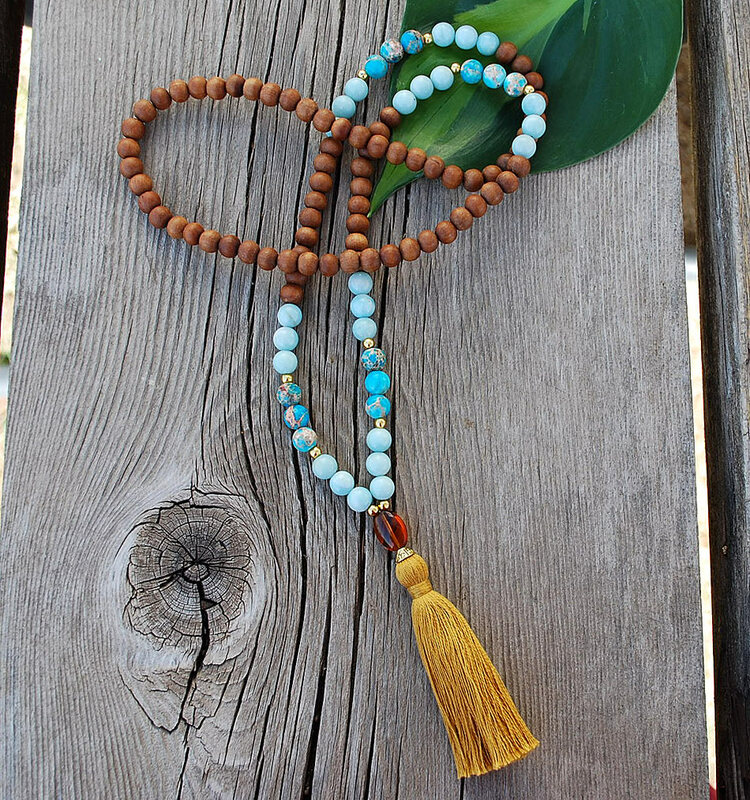 Amazonite: Creates a protection of your own energy, and shields the wearer from negative energies.